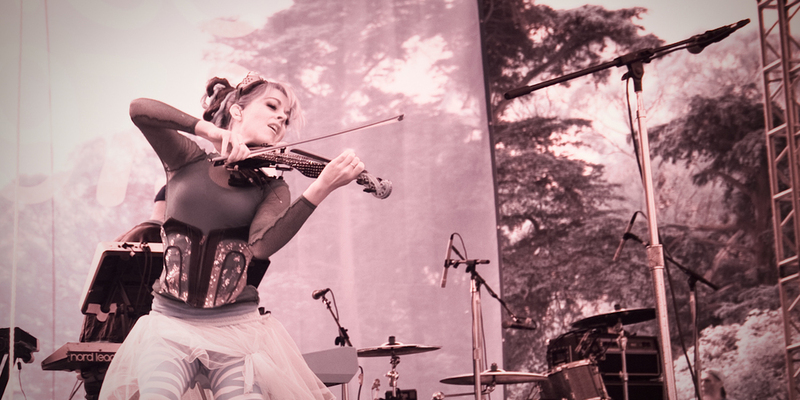 On Sunday, I went to the Golden Gate Park to attend the Now & Zen Concert featuring one of my favorite musician, Lindsey Stirling. I played violin for a few years until I broke my left wrist in such a way that I was never able to play again. Ever since, my heart has been longing for that beautiful, rich bodied sound of the violin. My ribs must ring at the same frequency because I can feel the sound penetrate deep within my chest. Some call that love, I say it's hertz. She is truly an amazingly talented person, I highly recommend seeing her play in person. Images were shot using my Infrared DSLR. However, it was unfortunately overcast that day, so there is minimal IR effect that can be seen in the images. In the +5 Spirit of Con Season, I've decided to write a post on event photography. It is easy to get distracted by all the cool artwork, collectible swag, the possibility of spotting celebrities, seeing sneak peeks from developers, and all the half-naked cosplayers roaming the convention. When taking photos, it might be best to take the level of excitement down a notch so you can focus on focusing. Press Swag: If you have a press pass, events will usually provide you with a bunch of information about all the vendors and where they are located. There may even be samples of products in the kit so you can decide if it is worth reviewing. Conventions are huge and you need to find a way to maximize your time. Once you get your kit, make sure to verify your game plan. With the new information, you may have just found more objects of curiosity that should be investigated. My 2 cents on a 10 cent Photography Trick: My favorite event photography trick is using a #10 envelope and a rubber band. You can throw your money at Gary Fong or other companies if you would like, but why not use up those envelopes in your office that are just taking up space nowadays. Simply point your speedlite up and attach the envelope to the back. The light will bounce off the paper and give a soft quality of light on the person. If you are fortunate to be in a location where the ceilings are within 12', you can benefit from using it as well to provide nice light onto your subject. Also consider using walls for bouncing light. However conventions don't typically have much wall space to bounce off of. Princess What's-Her-Name: It is important to take down people's names to be used in captions. I always keep a piece of paper clipped to my press pass so I can quickly take down the persons information (name, title, sometimes age, how they are involve, what they think, camera exposure number, etc.) If you plan to use the images for commercial purposes instead of journalism, you should get a model release of the images. This will protect you if they decided in the future to sue you or demand compensation for making a profit off their likeness. Chief, Cook, and Bottle Washer... Tank, DPS, and Healer? It helps to be able to write well as a photographer. Photographers are now picking up the role of reporters as well. They setup the video camera on a tripod, record themselves, and then edit the footage to send back to the news stations. Same goes for still photographers, they are now also doing the interviews and writing the articles. News writing has its own styles that need to be followed if you want to get published. If you're interested in photo journalism, you should pick up the AP Styles Book. Punctuation: There is usually less of it since news use to be transferred over The Wire and the fastest way to break news would be to use as little characters as possible. Proper adjectives for proper nouns: The way people need to be described has a very specific set of rules for age, gender, titles, and when names are used. Prioritizing information: All the important stuff goes at the top so that the editor can easily decide to cut the end of the article if it is too long. Below is a review I wrote where you can see how AP Style is different than normal writing. 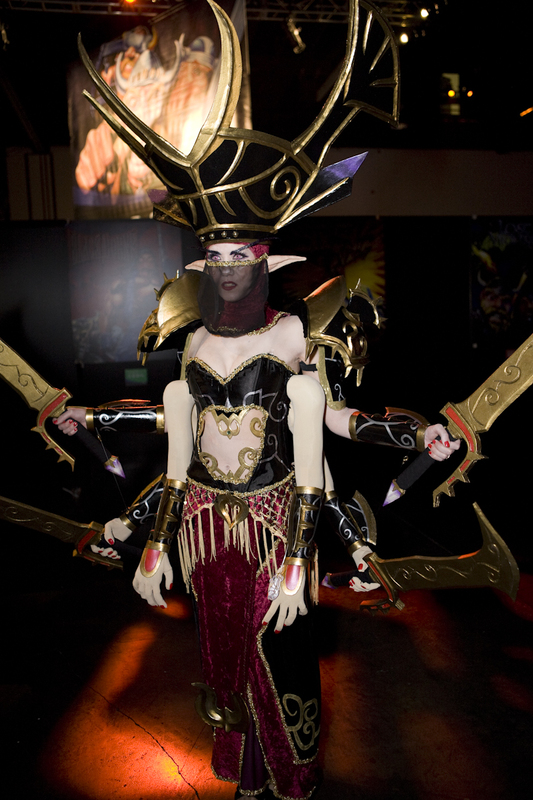 BlizzCon 2009 was a video game convention of games produced by Blizzard Entertainment. Attendees were invited to panels where the makers discussed new developments for the games. I was lucky enough to attend and bring back exciting details. Blizzard has made advancements in their game development. Starcraft II and Diablo III both look great but still seem to be a long ways from being released. However, for those who play World of Warcraft, cataclysmic goodness could be just around the corner. Azeroth is getting a complete face, body and mind makeover. It is the best-looking expansion with even more exciting story lines. Terrain is completely transformed by the sheer destructive force of Deathwing's (a dragon protector) eruption from the world of Azeroth's crust. Goblins are washed ashore becoming refugees, the Greymane Wall has been broken down exposing the humans to the worgen (werewolves), and social unrest draws an even stronger divide between Horde and Alliance armies. 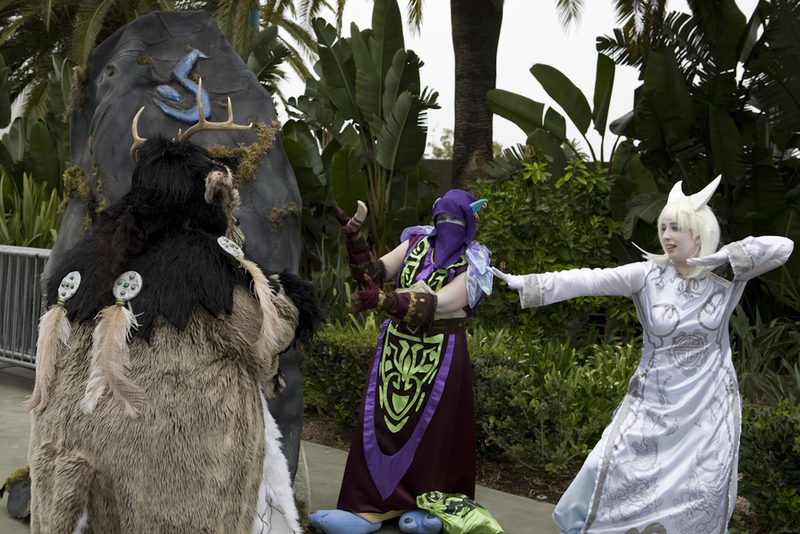 While attending one of the WOW panels, a maker hinted that the game would be released within a year, "You'll all be complaining about goblins at the next Blizzcon." Goblins will have a racial ability that gives them a rocket belt, complete with both rocket jump and barrage to mow 'em down. Horde army will rejoice, as their new playable race is the goblin. Players who rolled in the Alliance faction will be able to play a worgen. They will be similar to a druid in respects of have more than one form (human and werewolf) and equipped gear while shape shifted will not show. The worgen starting zone has an all too familiar Vanilla WOW look, so I was not as compelled to roll one. Plus, no big changes happen within the Alliance faction to draw new interesting story lines for quest-chains. The terrain phasing from one look to another is more prevalent in Cataclysm. In Wrath of the Litch King, phasing was first introduced after The Battle of Angrathar the Wrathgate. The scene had changed from Horde and Alliance soldiers fighting the Scourge army, to dead bodies everywhere. In Cataclysm, even small quest events will change the landscape. What happens in Horde politics was not fully revealed. From what I was able to gather, Garrosh Hellscream takes on new leadership by building and transforming zones. I'm not ready to believe it, but this could mean a dire fate for Thrall and High Chieftain Cairne. Failed attempts to slay bosses are going to be less aggravating with the new guild talent points. Guild members can help earn points to level up their guild by completing quests, battlegrounds, and leveling professions. Points can be spent on things such as raid wide resurrections or discounts on repair bills. 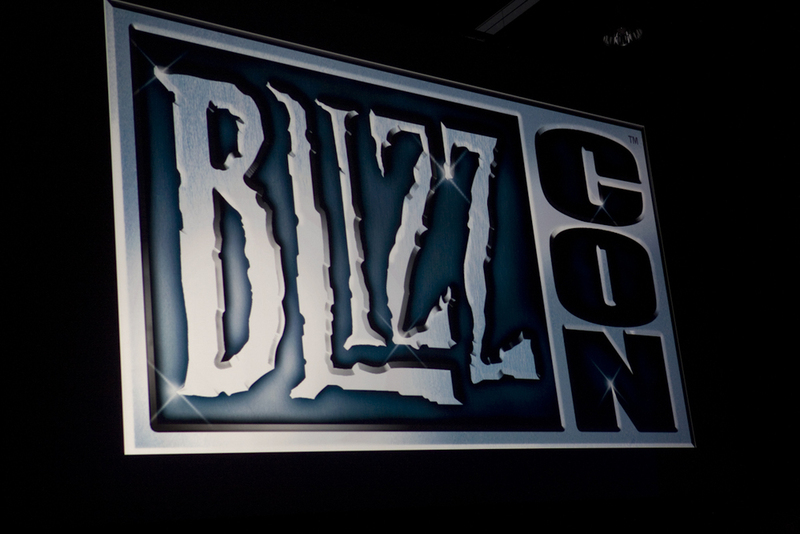 Blizzard has decided to release more game expansions than originally planned. To do this, they have lowered the expansion level cap to five additional levels instead of 10. Therefore, three more game expansions are to come before players reach the final level cap of 100 and can say they actually beat WOW. At that point, the WOW saga would have lasted almost 10 years. There will probably be a new massive multiplayer online game out by that time, but what if there isn't? I have yet to see a really good adventure game since the release of Kings Quest VII in 1994. This weekend I helped out a fellow photographer shoot a wedding by taking on the roll as the 2nd photographer. I've shot about 5 on my own in addition to the ones I helped with while at Element Studios; and I can say with confidence that I very much enjoy the role as a 2nd photographer much more for weddings. The 2nd photographer gets to focus on doing the fun creative images of the venue and capture all of the awesome little quiet moments that people often miss. I prefer to take an editorial approach to wedding photography than traditional portraiture. The wedding on Saturday was by far the best I've had the pleasure of photographing. It wasn't the most expensive venue, there wasn't a 5 course meal, and there weren't all kinds of crazy decorations. It stood out as being different because this couple was genuinely happy and in love. It wasn't head-over-heels-make-you-want-to-vomit love. This was steadfast real love. A love that was mature, honored, and respected. A love rooted from the understanding that this was their partner, and all the other good times were secondary to that one truth. It was an honor to witness that. "Wives, submit yourselves unto your own husbands, as unto the Lord. The passage demands that husbands must put his wife first. With this full grasp of the passage, we can appreciate that the advice given to men is not for them to be ordering women around, but to honor, love, and protect them. It's really quite beautiful. Make sure the bride is happy. Even if you have a great idea for a photo that the couple would love in the future, you need to keep in mind that the wedding is happening now. If the bride is too cold or too hot, it's time to call the session and head back indoors. You're booked for several hours and even if there's a schedule, there will be other opportunities for photos later. Scout the location thoroughly before hand. Even if you find the perfect place to do your couple shots, have a backup plan for 2nd and 3rd locations. Weather can change, the light may not be where you thought it would be, and let's face it: geese can happen. Always bring more batteries than you think you need. I'm always surprised how quickly I burn through batteries at a wedding in comparison to shooting corporate events. For the love of God, do not use direct on camera flash. Bounce your speedlite off a wall or a ceiling. I shouldn't even need I mention this, but I've seen it done far too often. Don't feel bad about bringing more equipment than you need. Wedding have the tendency to go wrong- so backups are a must. Know the wedding party. Make sure you know who is attending the wedding so you don't ask the awkward question of "Where's grandma?" and people have to tell you she had passed away. Always deliver more than is expected. This motivate the couple to refer you to their friends and family. If a guest wants you to go out of your way to take a particular photo, do it! The bride and groom is your current client, but the guests could be your next. Make friends with the venue managers and/or event planner. They can help make your life much easier to help make sure things run smoothly, get you the information that you need, or get the right people to help you. Don't book a bride under 30. I wish I was 100% joking about this, but I'm not. A large percentage of younger brides are going to be emotional- and you better have some counseling skills to help calm her down. Ever wonder why wedding photographers make so much money? It isn't a walk in the park.. despite the venue being booked in one.